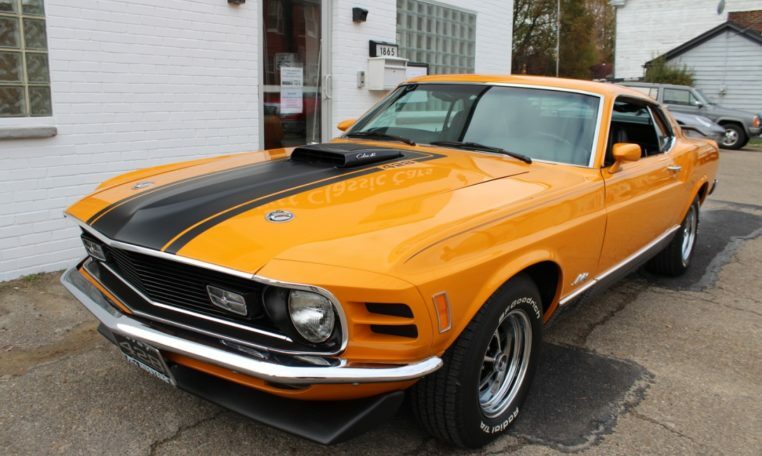 This 1970 Mustang Mach 1 SCJ has only traveled 400 miles since it’s high end restoration in 2009, It has since been kept in heated garage year round with cover and started weekly. 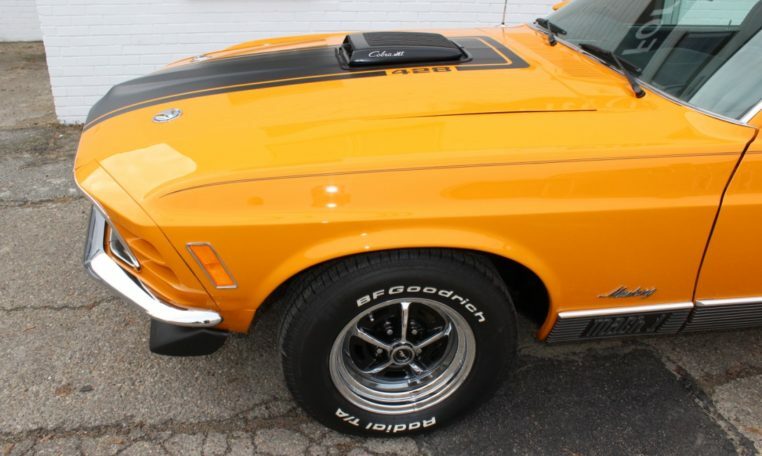 Hundreds of hours were spent on the restoration of this Mustang. 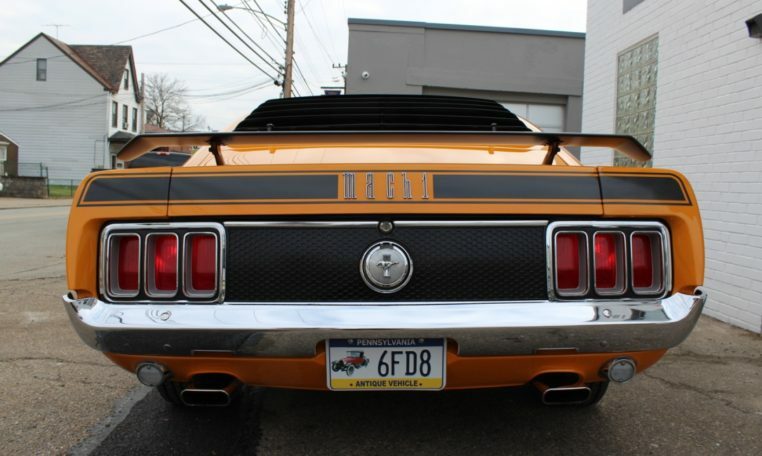 The end result was worth the expense. 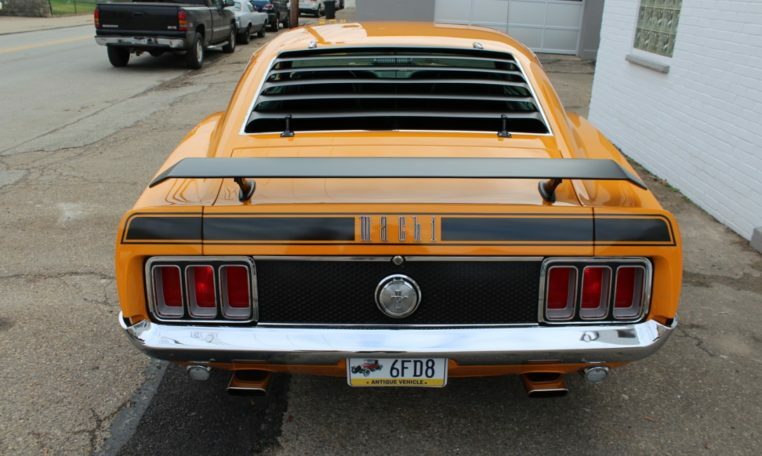 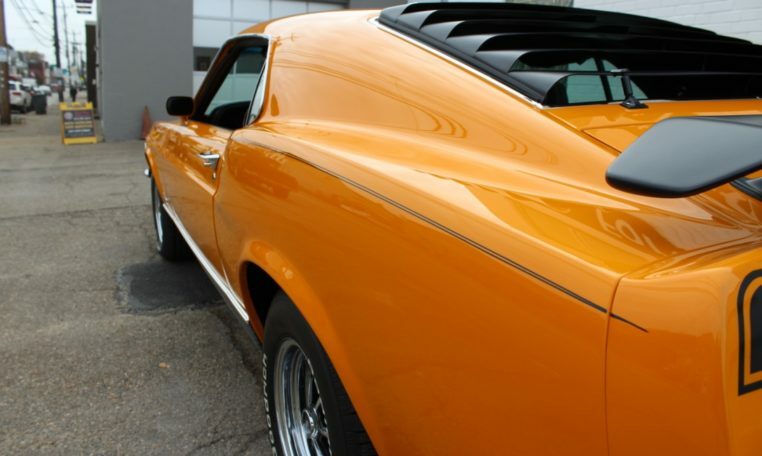 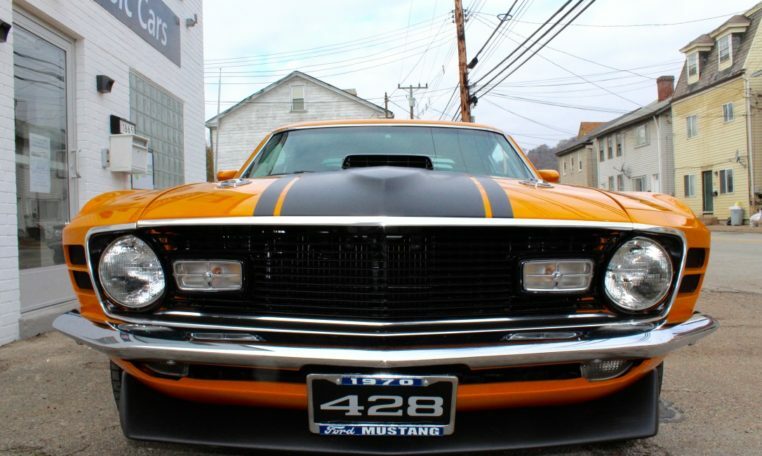 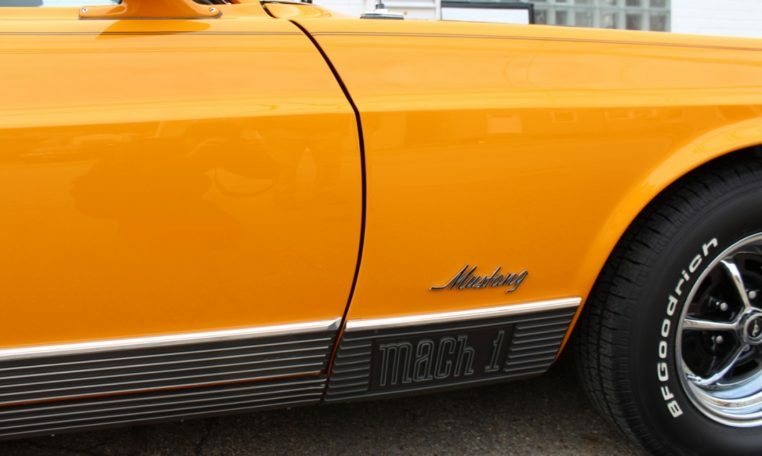 There is not a single flaw to be found on the body of this Mach 1. 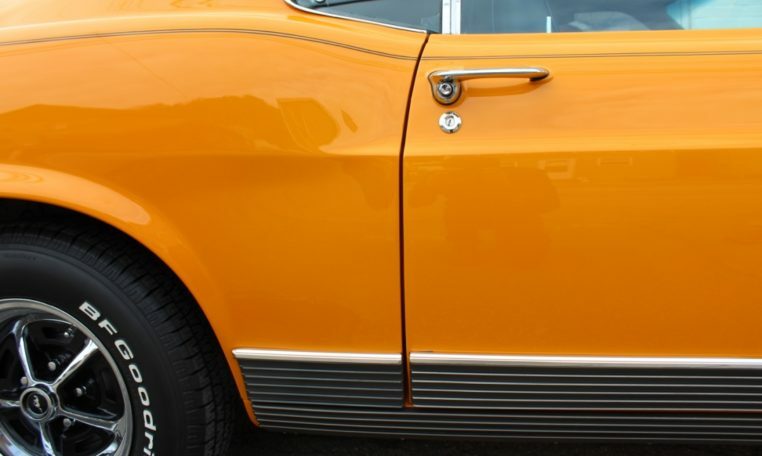 Equally as nice is the chrome and brightwork. 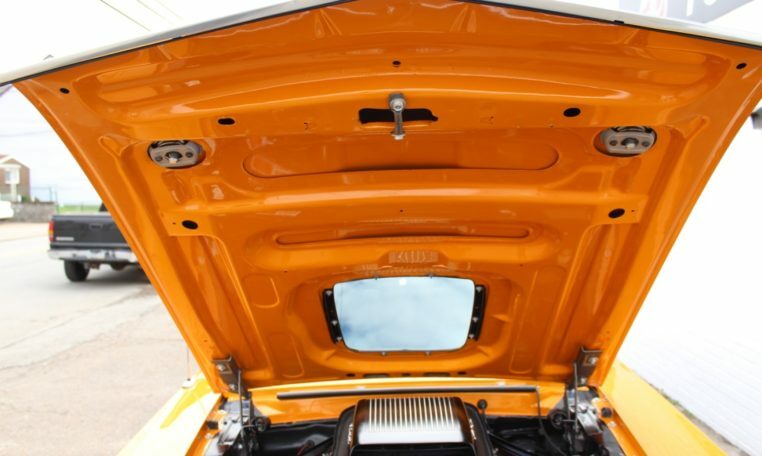 Every piece is show quality. 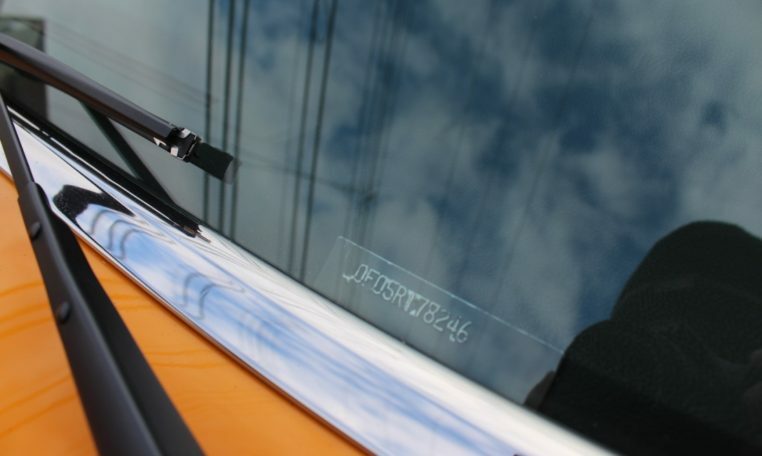 Glass is all new replacement with factory spec tint. 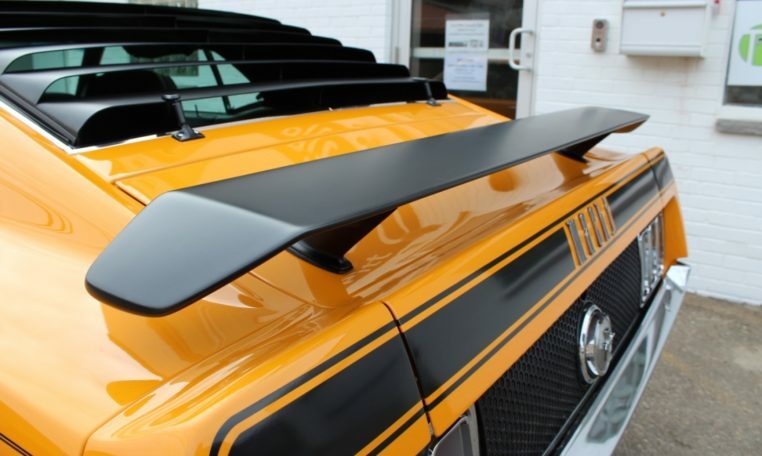 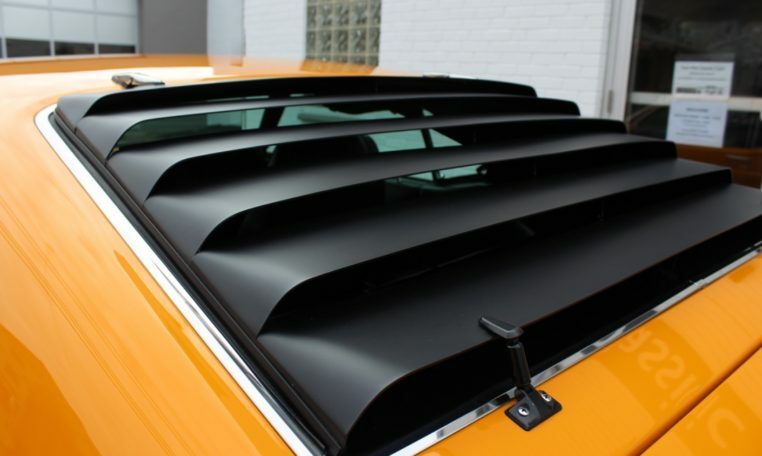 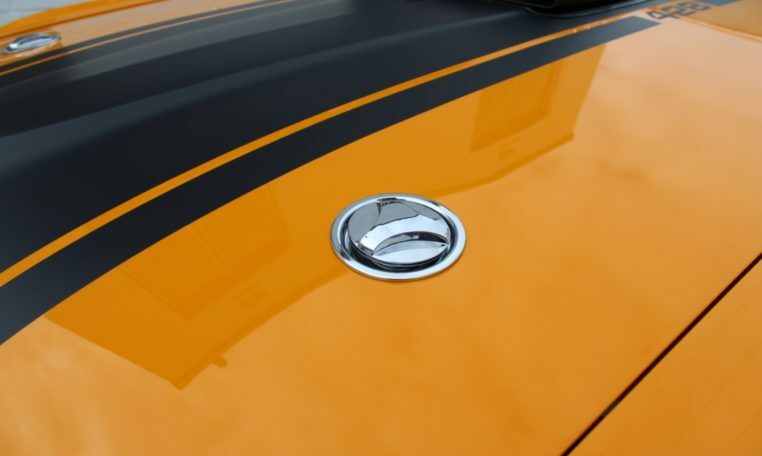 The expertly applied black stripes look fantastic against the orange paint, and compliment the matt black rear window slats. 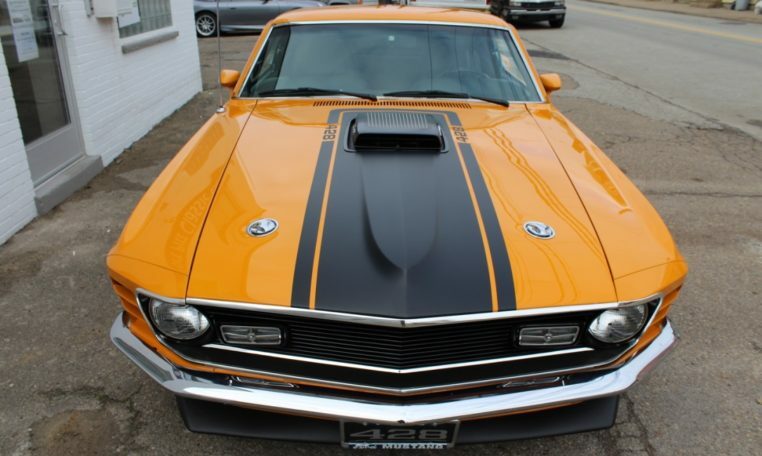 Nothing screams muscle like the black shaker hood and chrome hood locks. 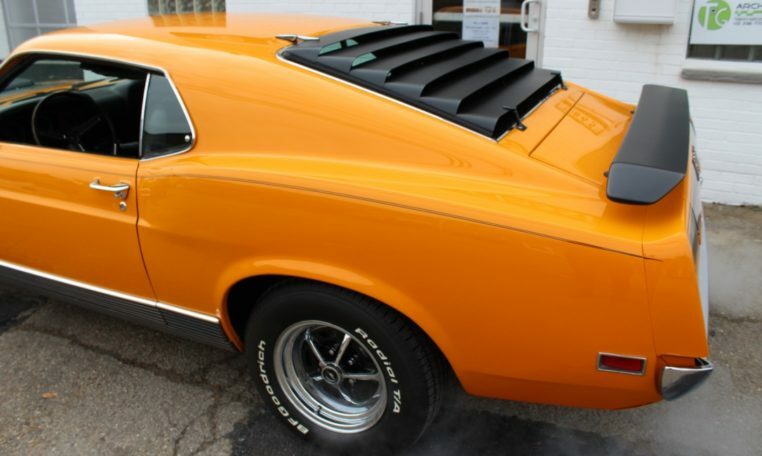 Front and rear spoilers complete the look along with aluminum Mach 1 rocker moldings and raised white letter tires mounted on 14 inch Magnum 500 wheels. 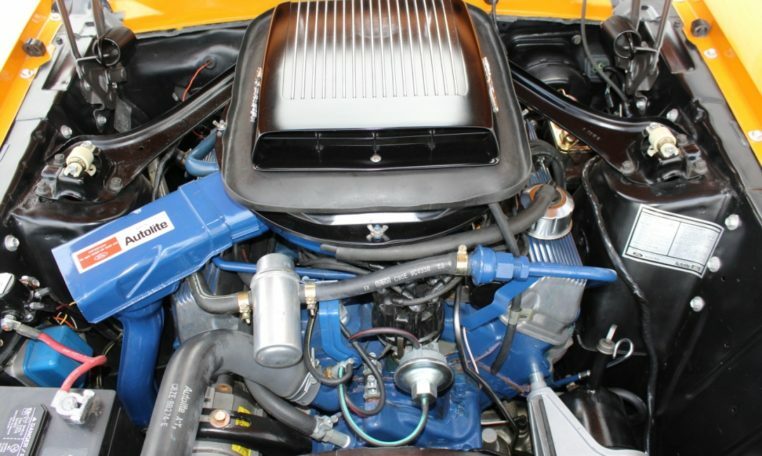 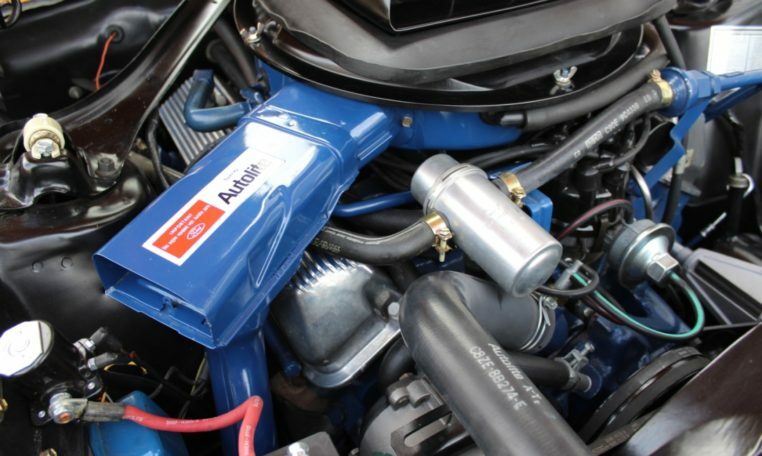 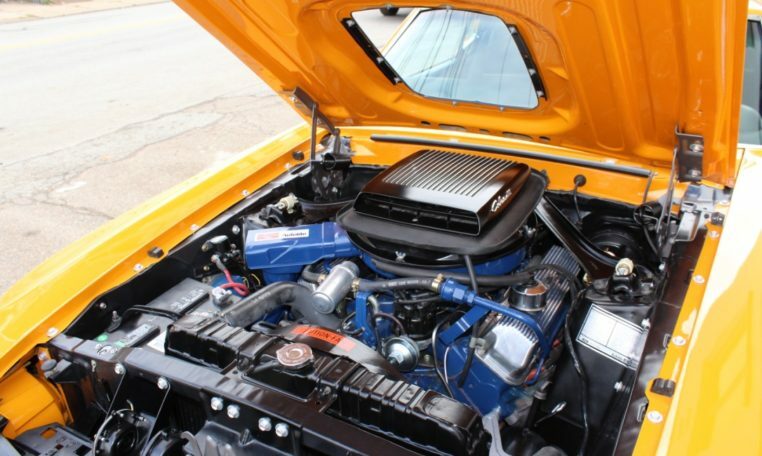 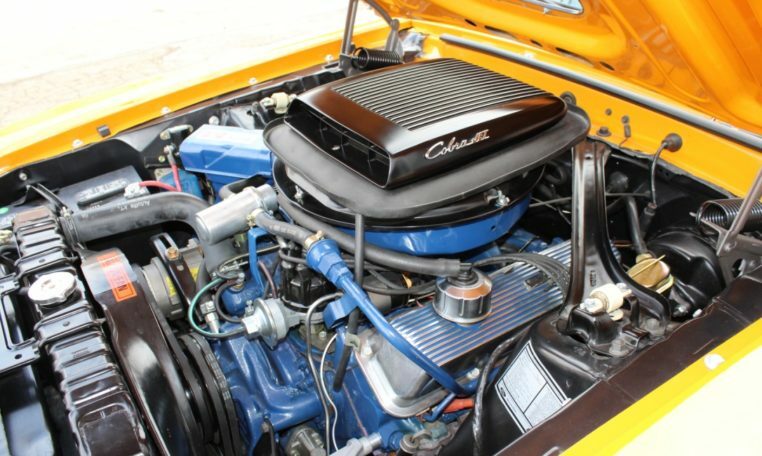 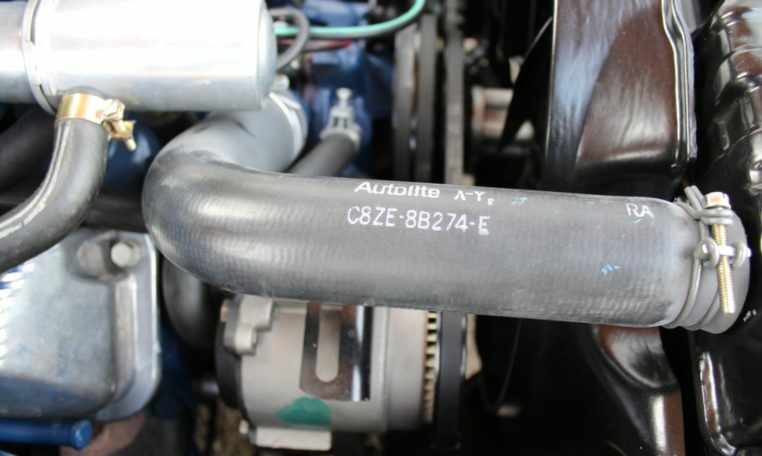 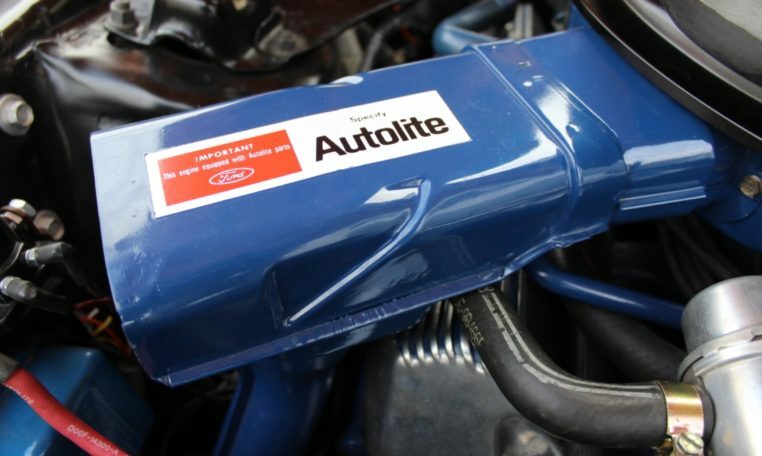 The engine is completely rebuilt, restored and detailed with either restored or factory correct components. 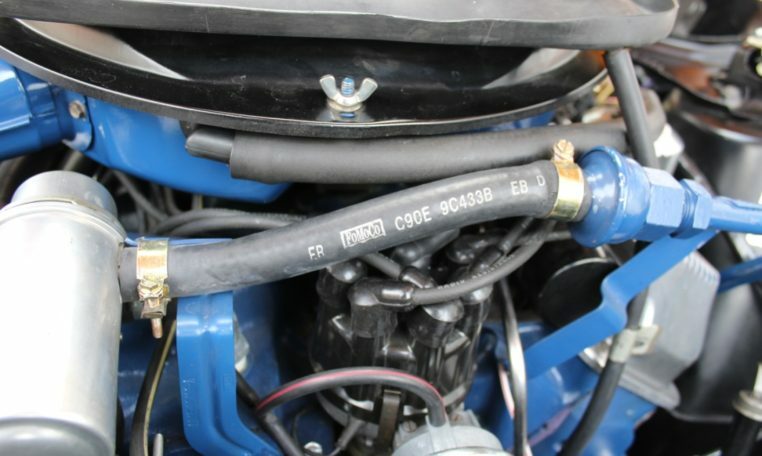 All details factory correct down to the date coded hoses, wiring harness, spark plug wires, and factory style clamps. 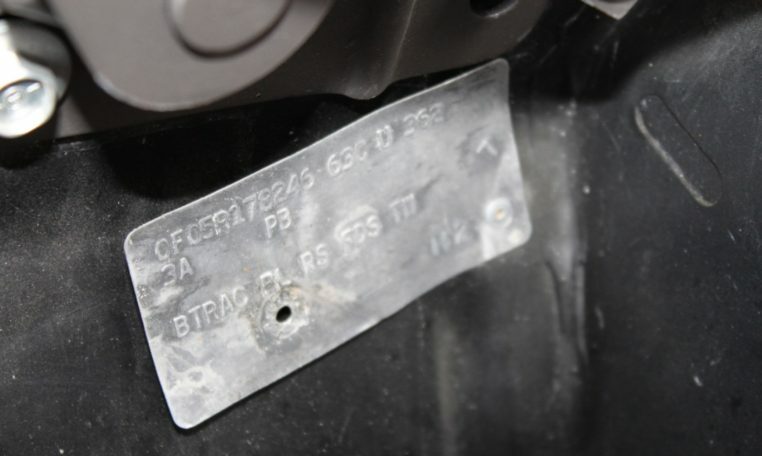 You’ll find the inspection marks are all there too. 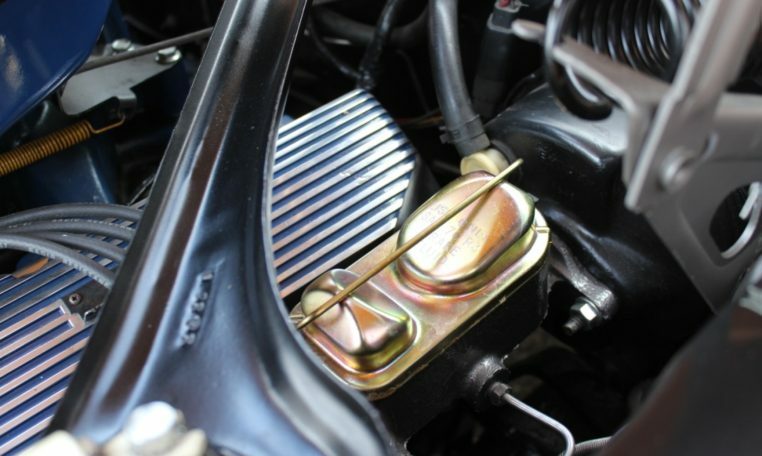 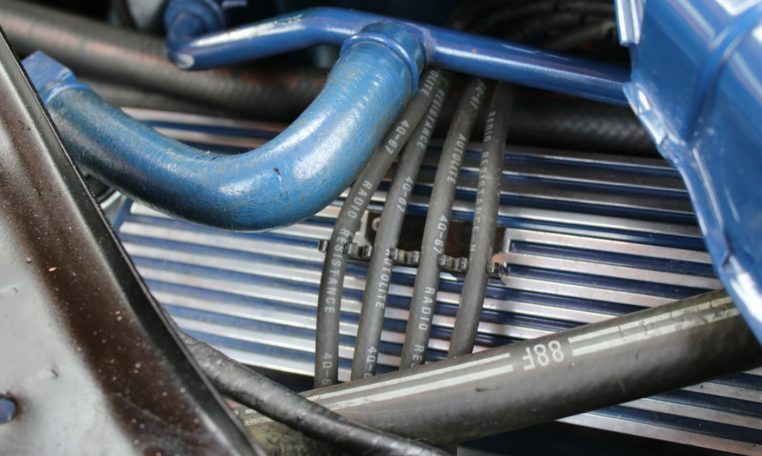 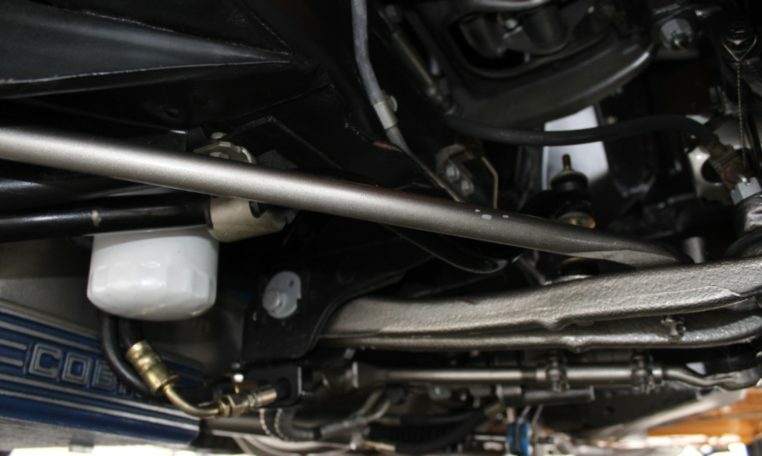 The R-Code specific oil cooler is there along with a re-cored radiator. 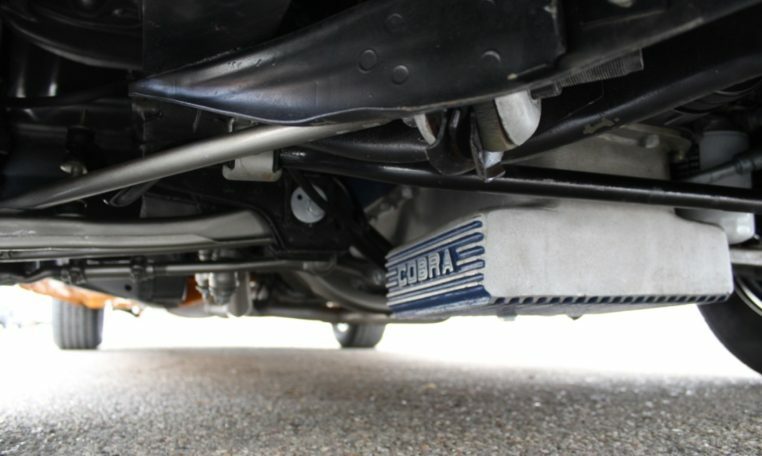 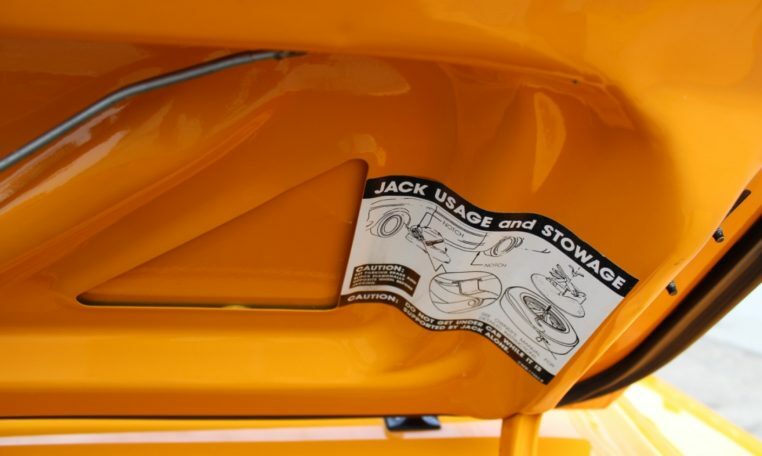 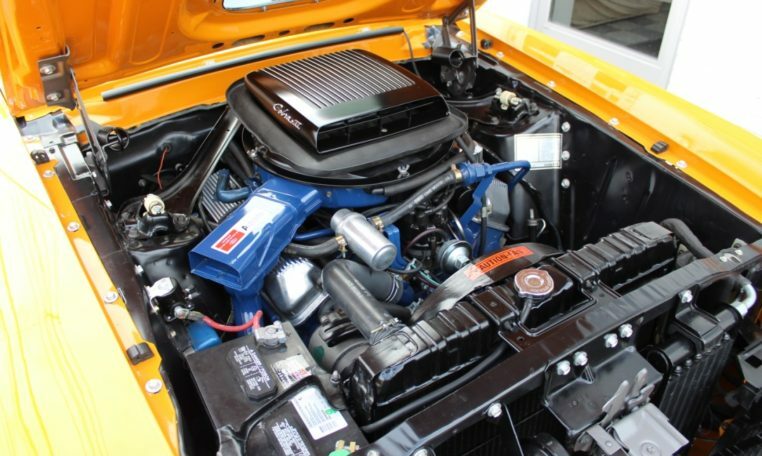 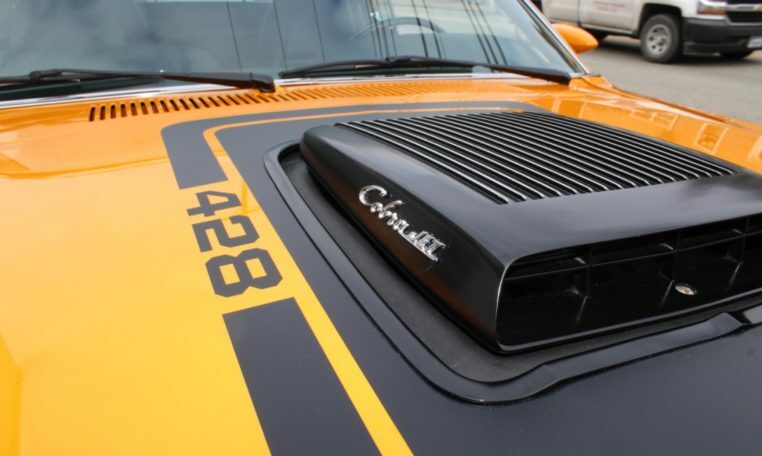 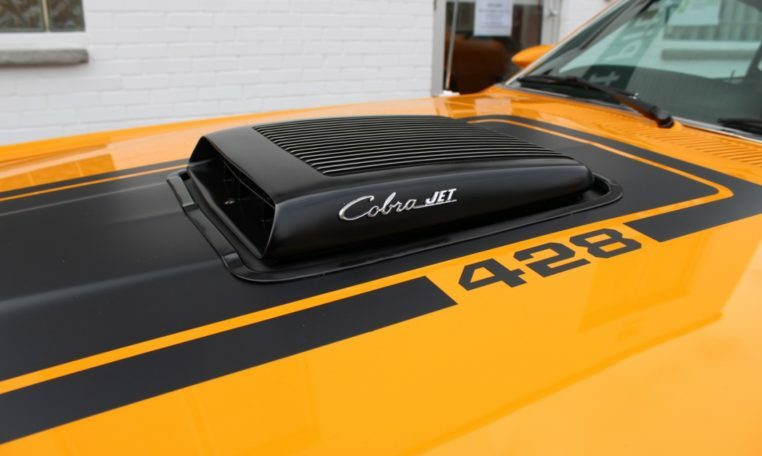 The only thing not original on the engine is a Shelby Cobra oil pan. 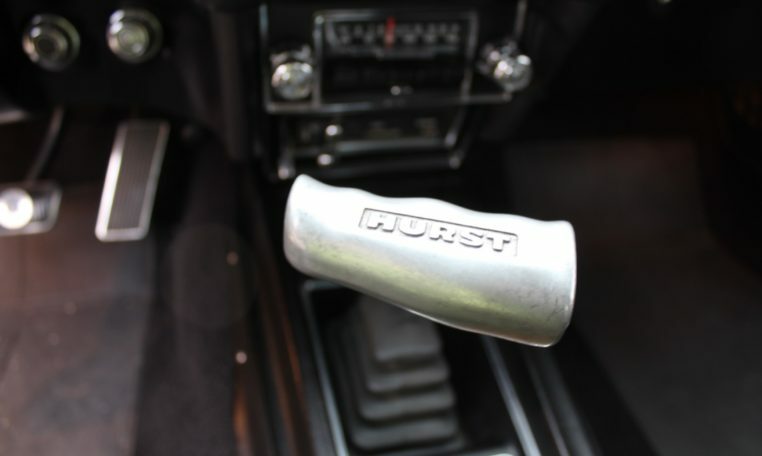 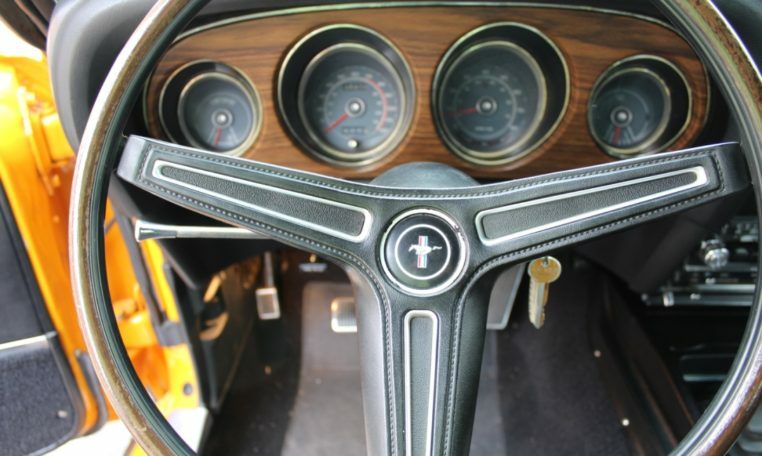 The engine roars to life with a turn of the key and runs smooth. 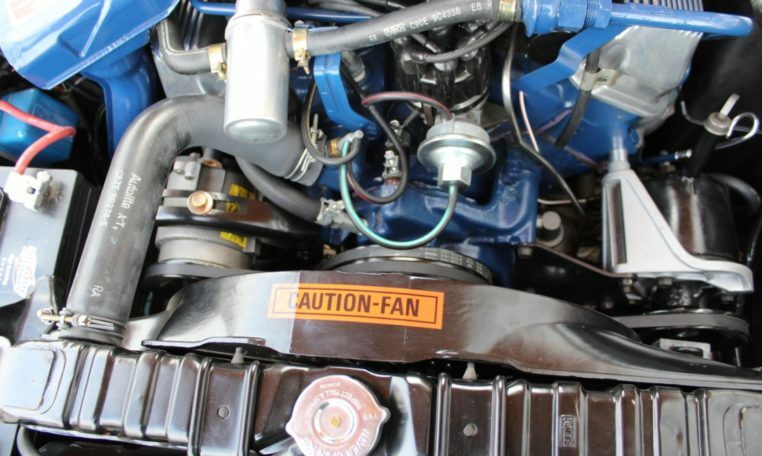 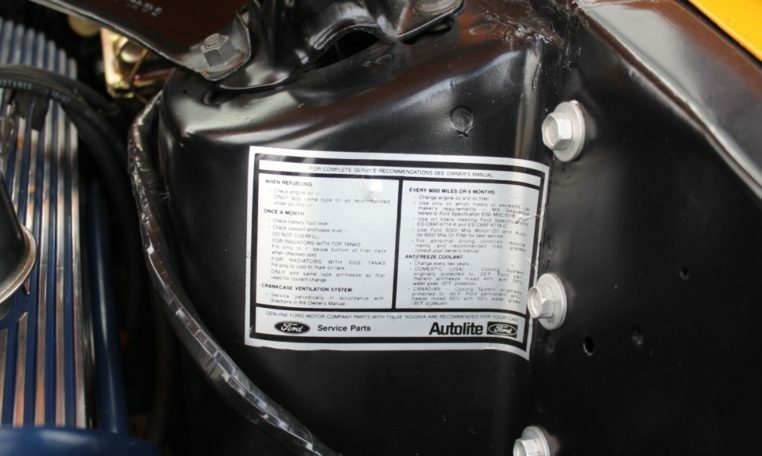 The rebuilt motor is mated to the original close ratio 4 speed transmission. 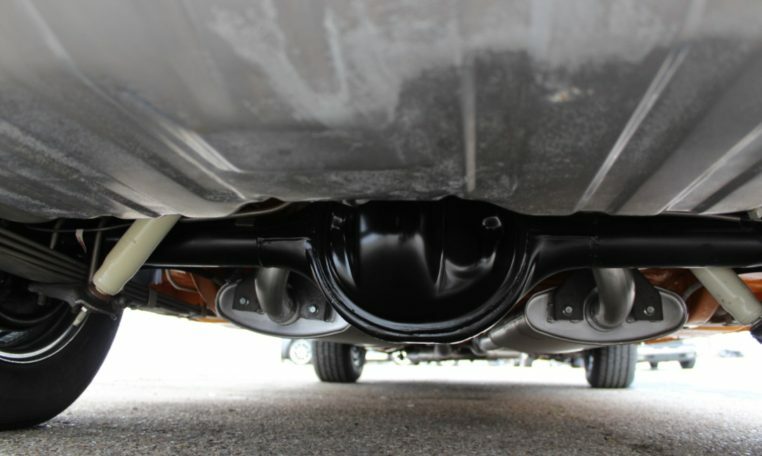 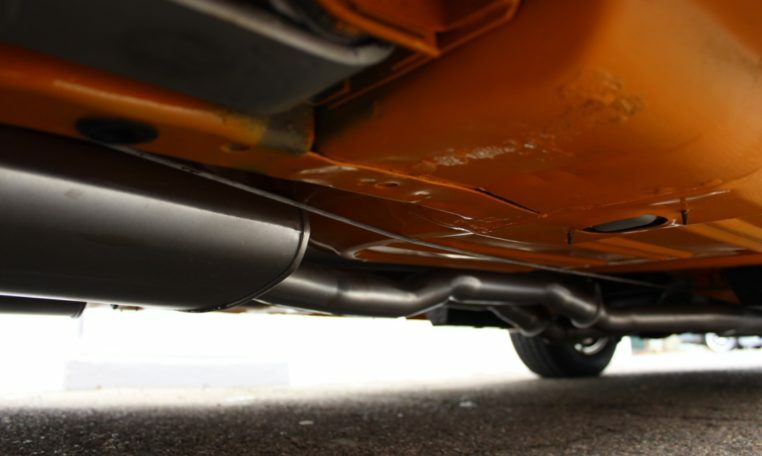 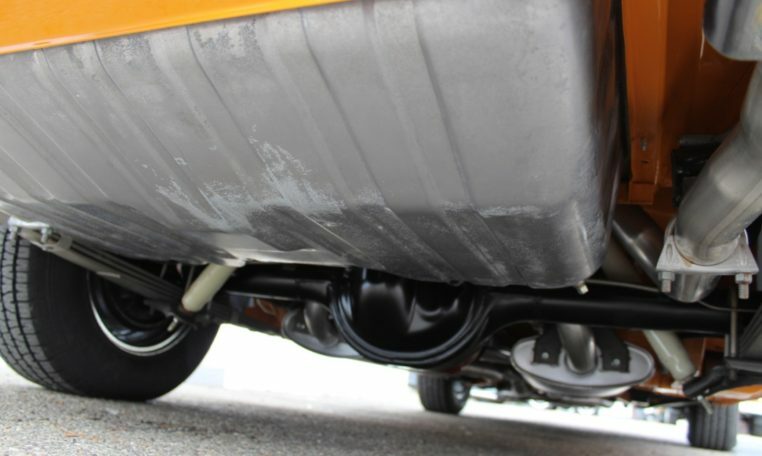 Power reaches the road through the original 3.91 Traction-Lok posi rear end. 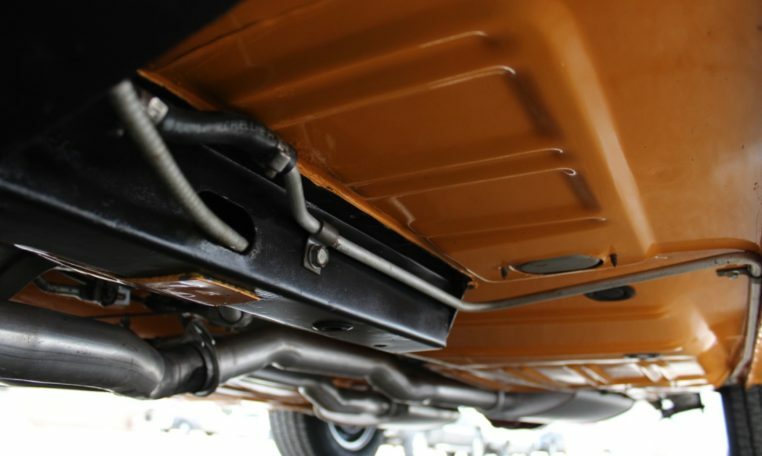 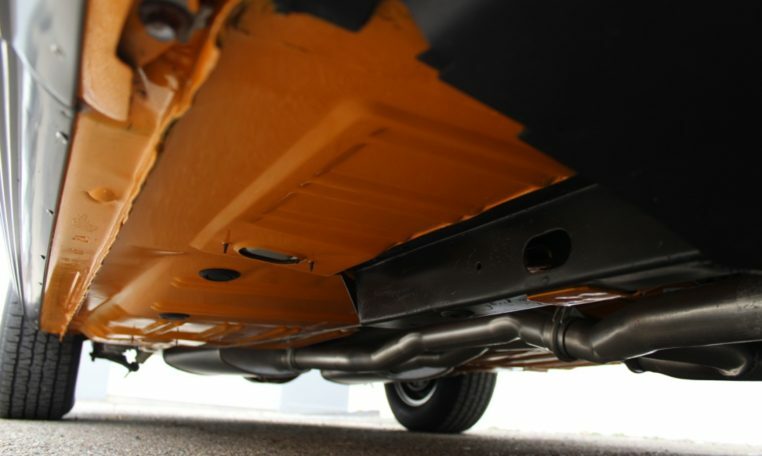 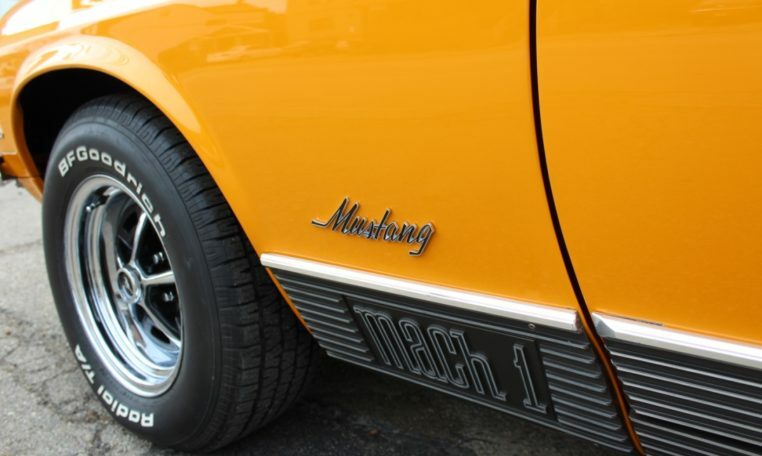 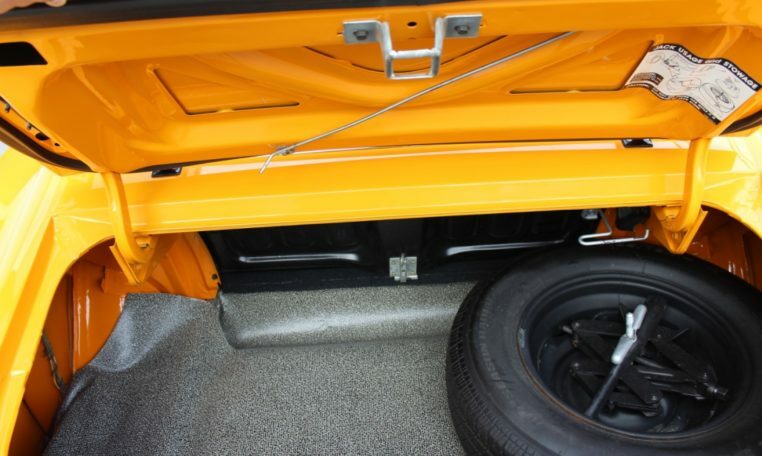 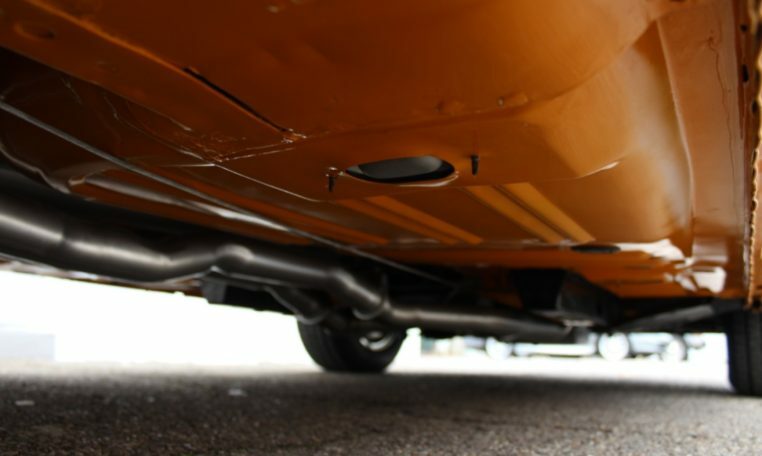 Underneath, this Mach 1 is gorgeous with new and restored components against a body colored floor pan. 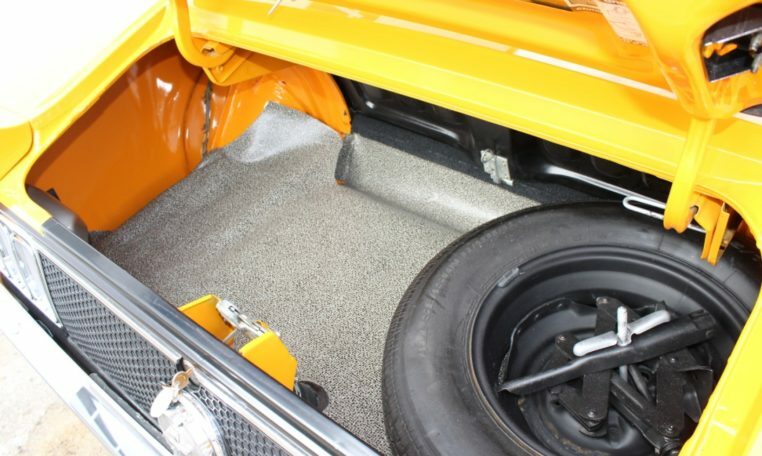 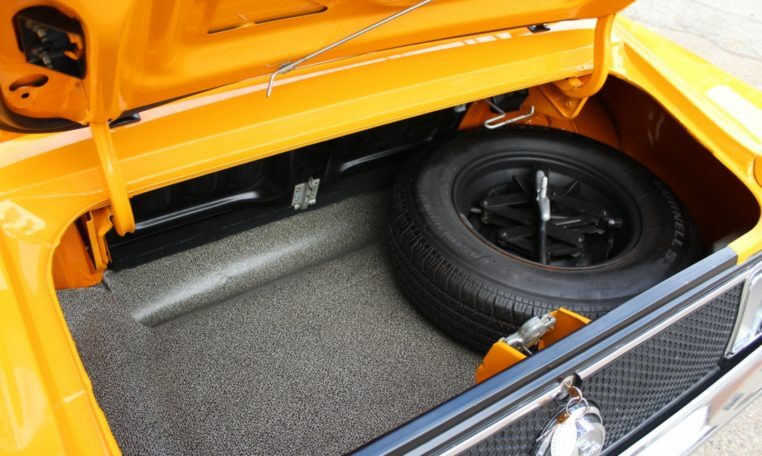 The floor pans have been finished with the same level of detail as the top of the car. 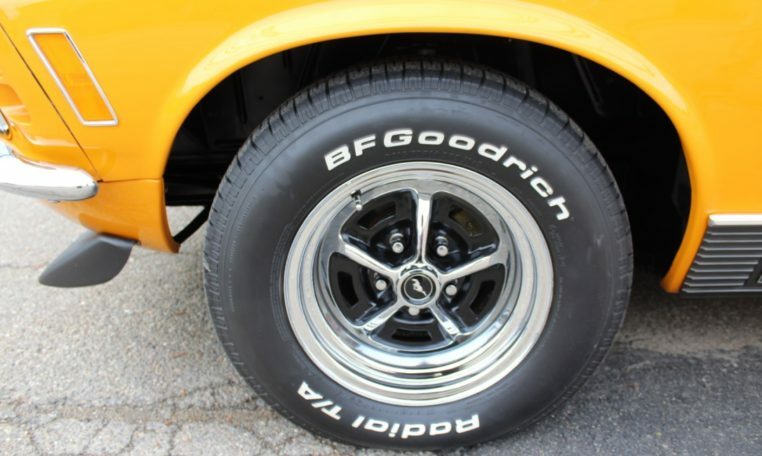 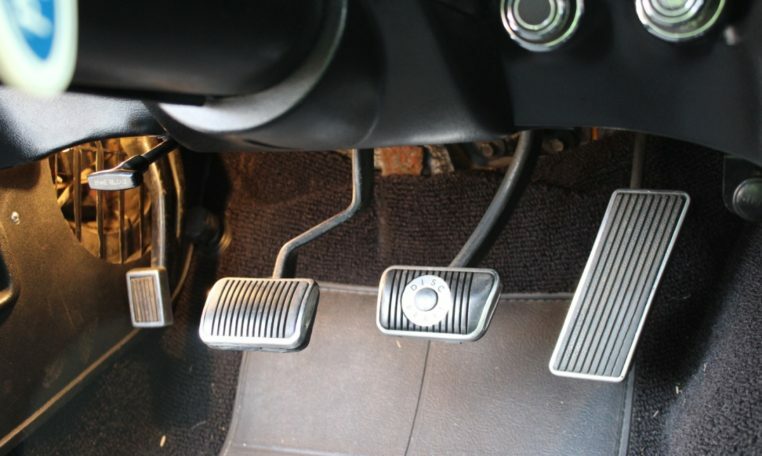 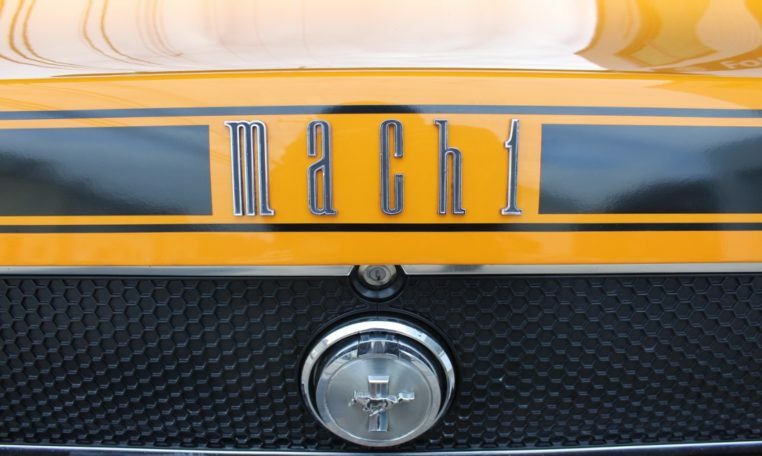 The suspension is completely refurbished with new power brakes and new shocks mean this Mach 1 will handle and stop. 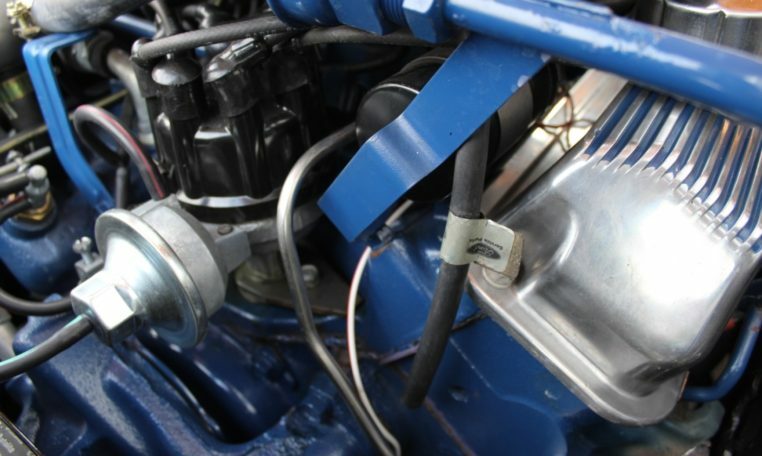 New brake and fuel lines run down the car. 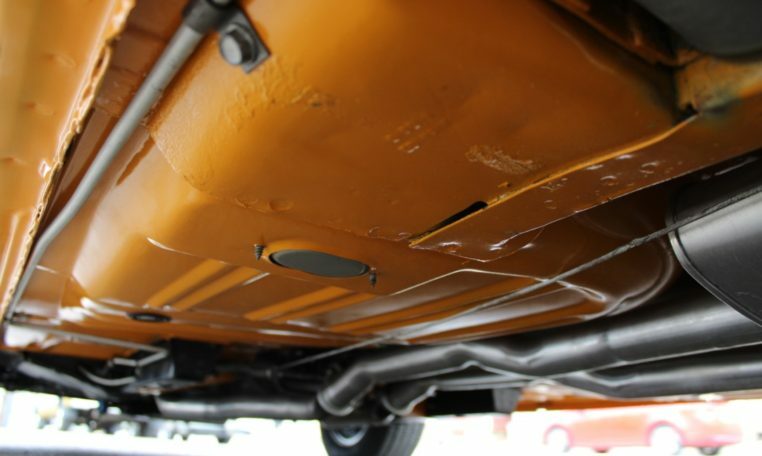 The fuel tank is also new along with the stainless steel exhaust. 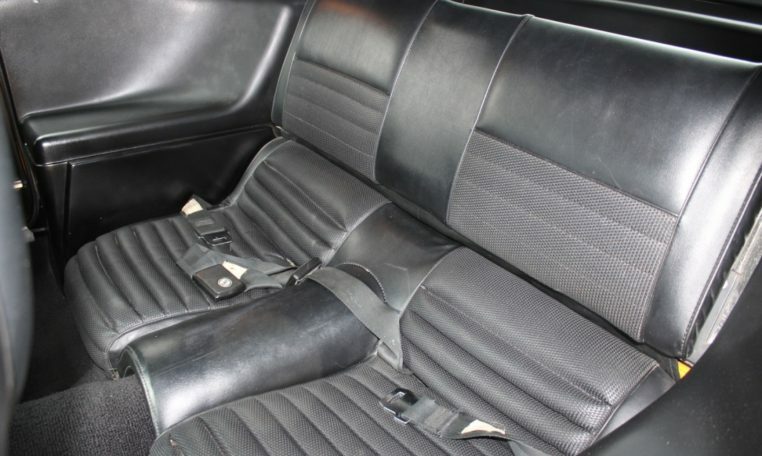 Inside, the Mach 1 specific seats are recovered in knitted vinyl. 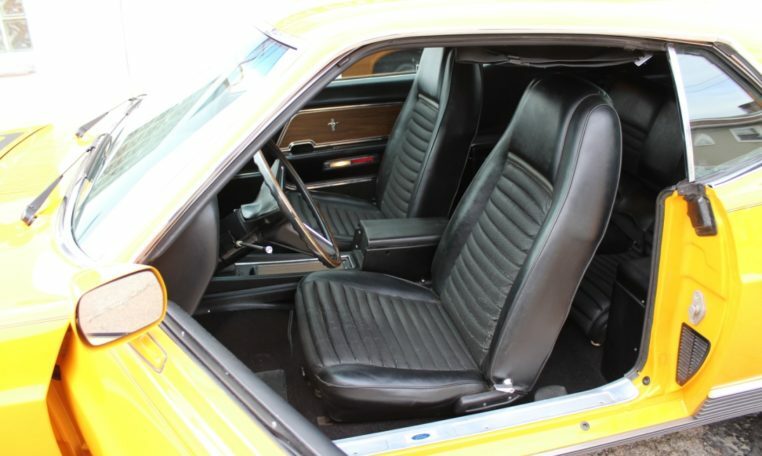 The owner claims most of the interior is original and reconditioned. 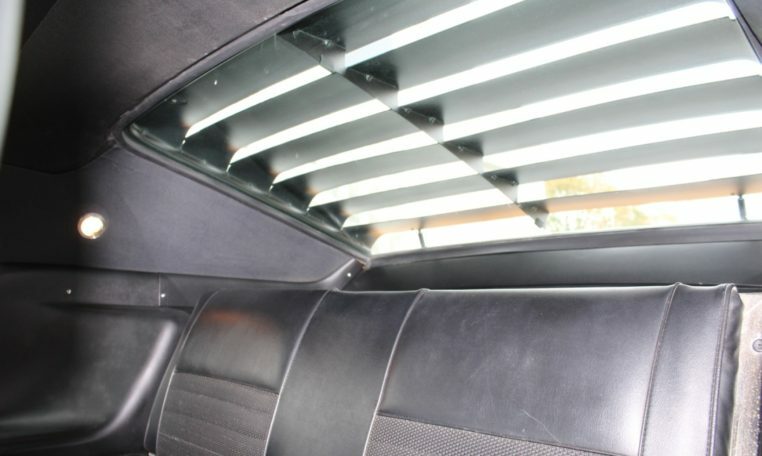 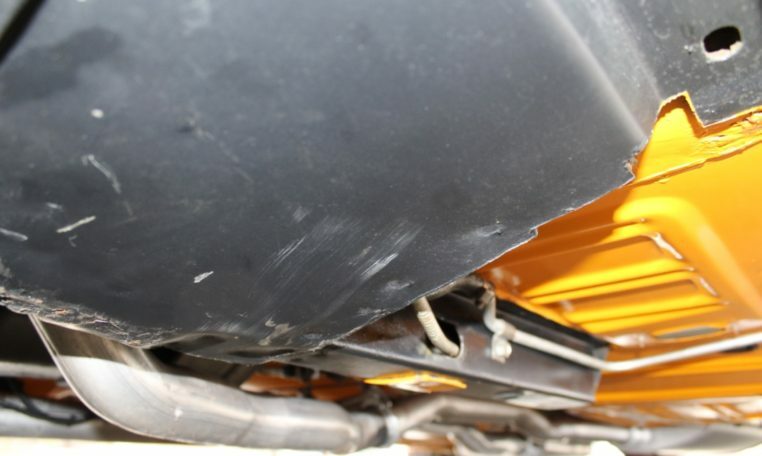 Carpets, door panels, headliner, and dash are all in excellent condition. 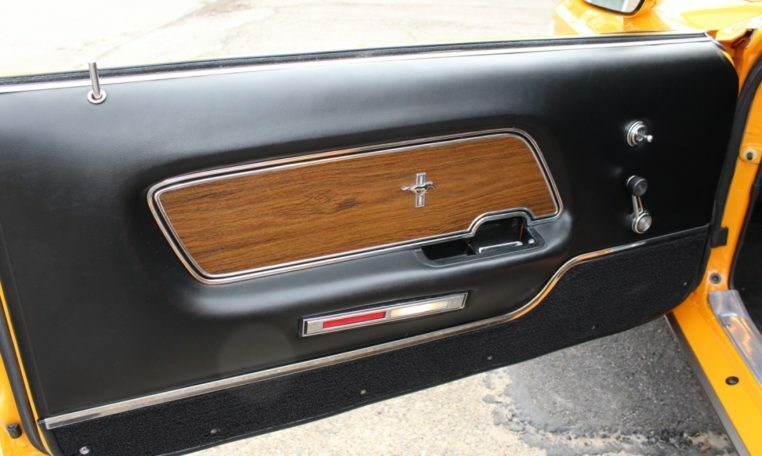 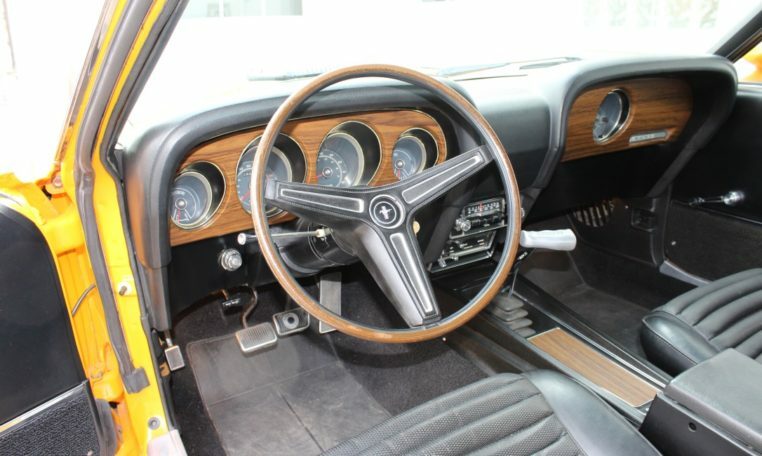 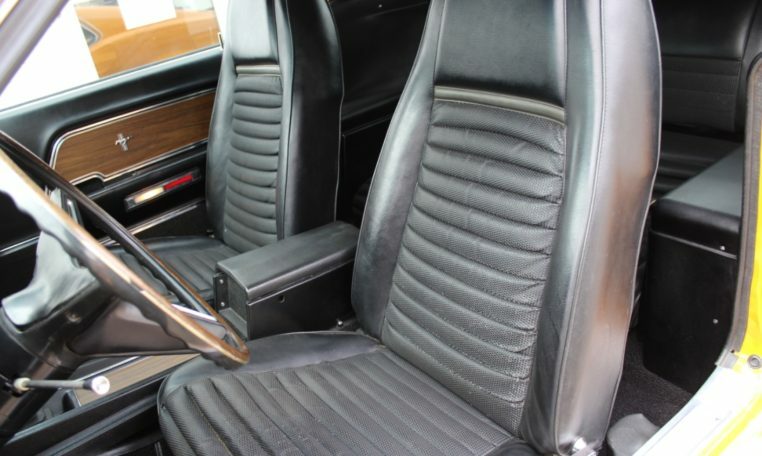 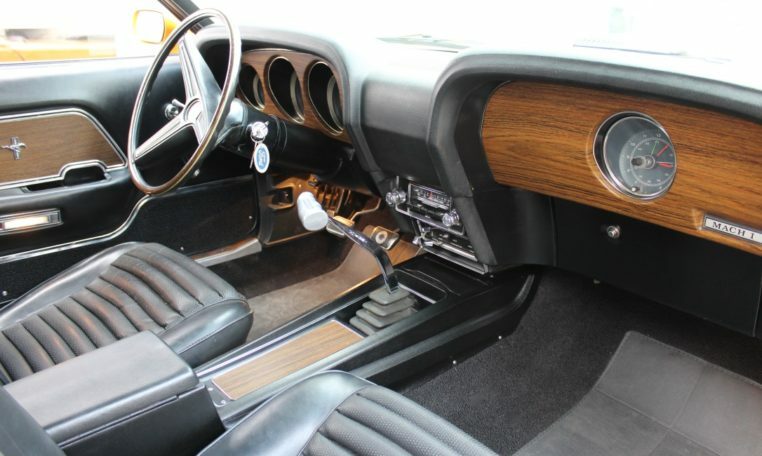 The simulated wood trim dash and center console compliment the black interior. 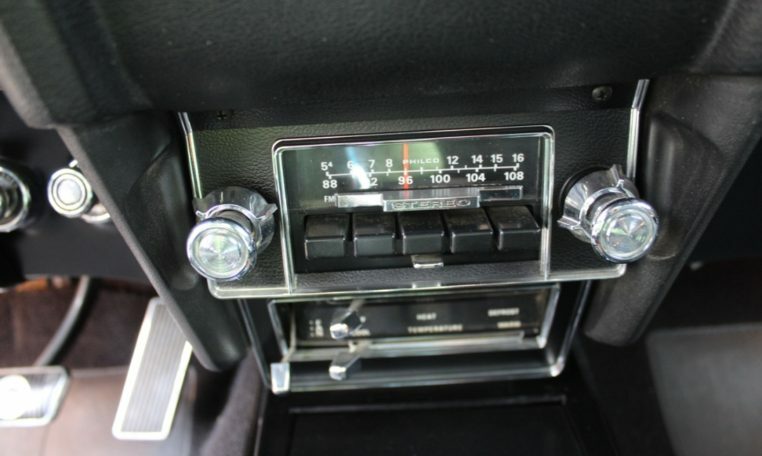 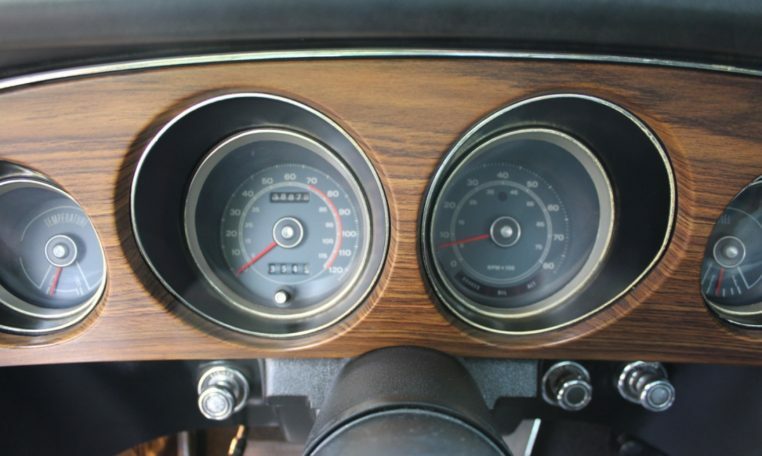 This Mustang still has the originally optioned deluxe 3 spoke steering wheel, tachometer, and AM radio. 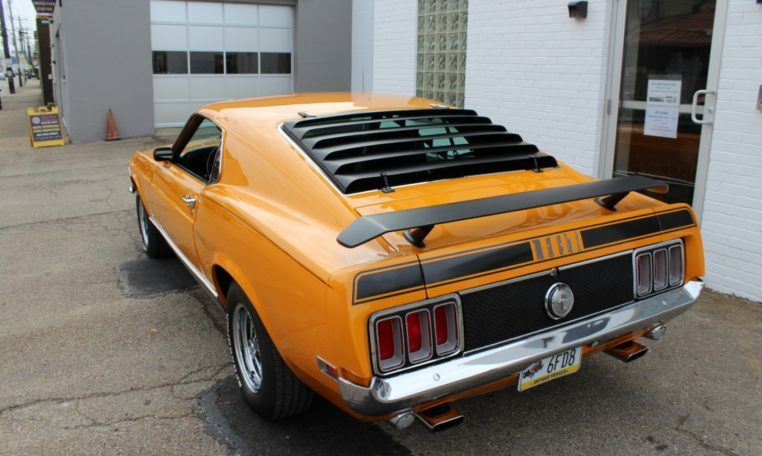 Highly optioned Mustang Fastbacks like this are in high demand, but this one stands above the rest in terms of beauty and quality. 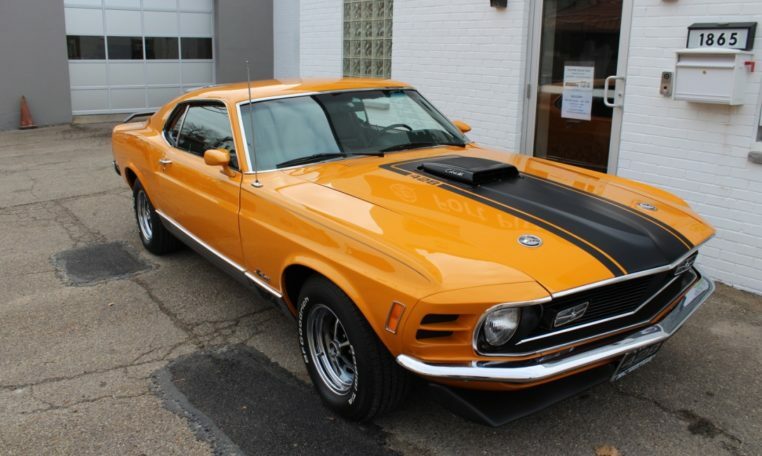 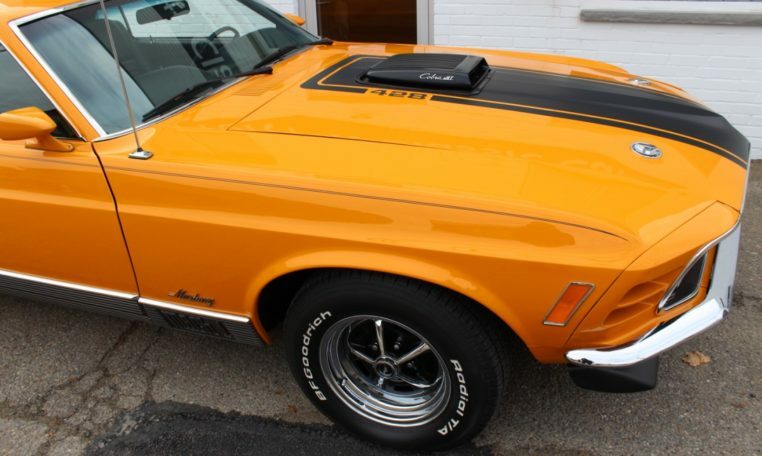 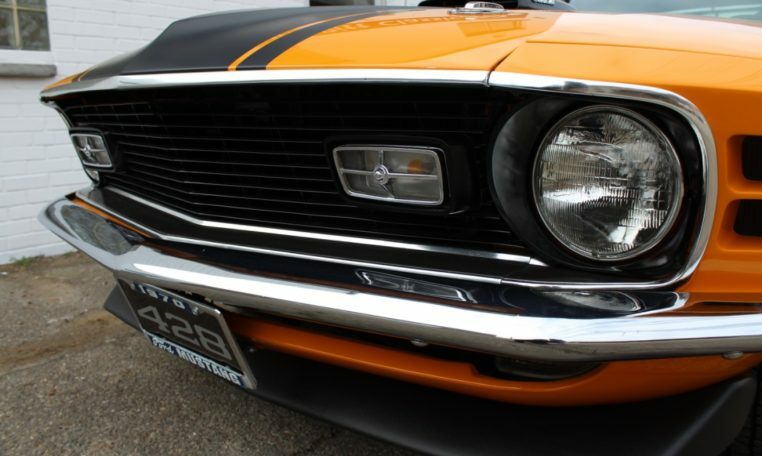 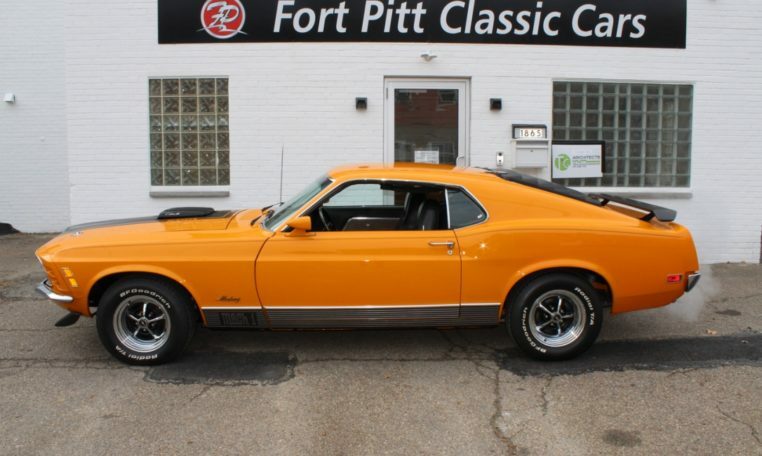 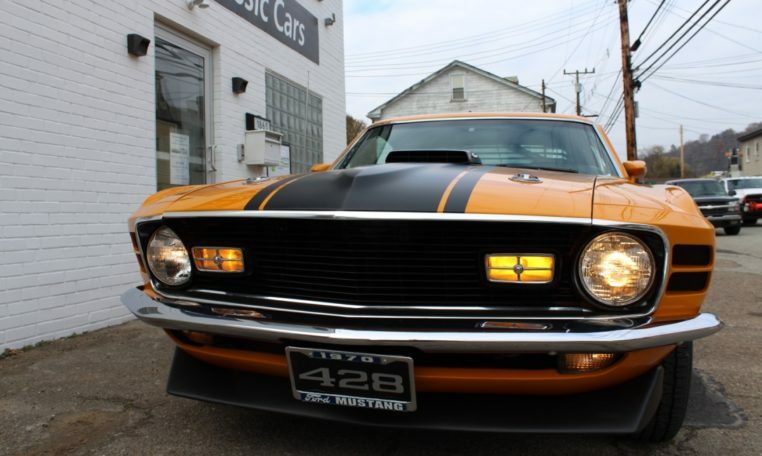 This Mach 1, with top-of-the-line drivetrain and highly detailed restoration is certainly a blue-chip collectible and will continue appreciate in value. 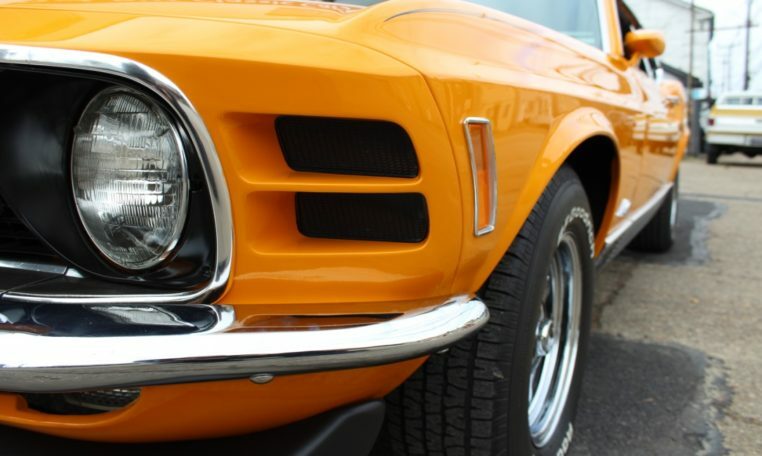 It will look right at home in your collection. 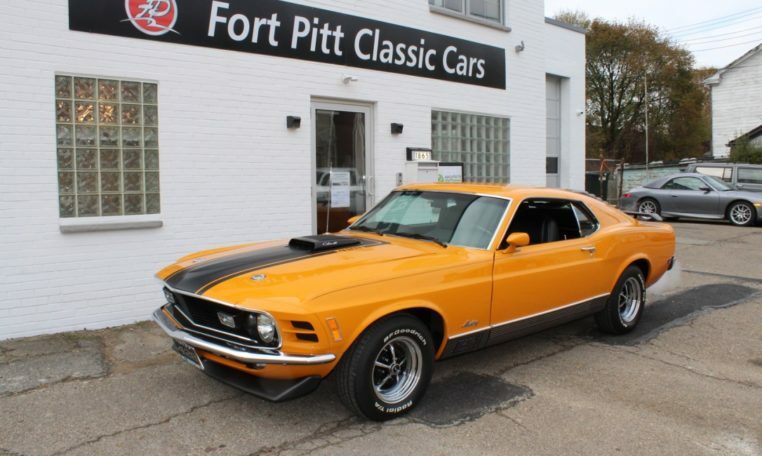 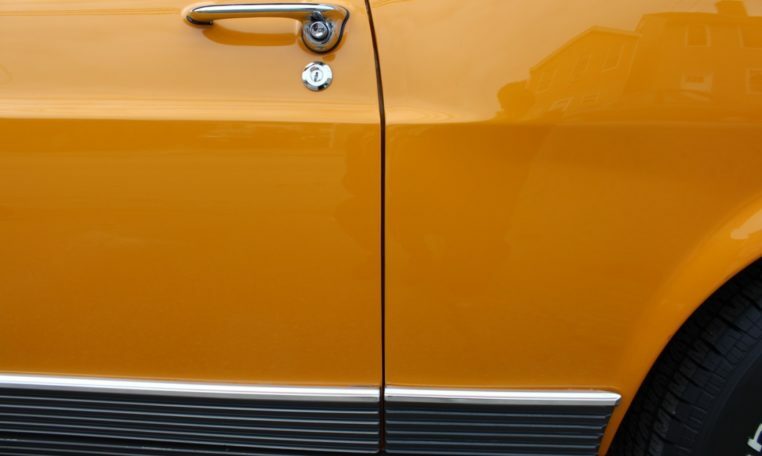 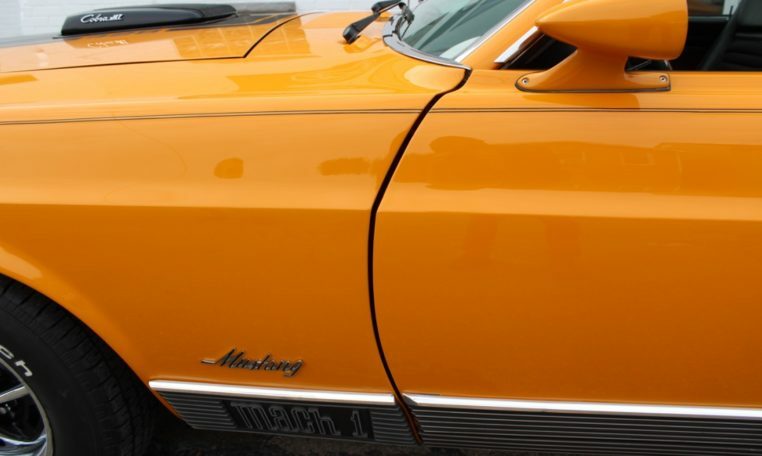 For more information, please contact Andrew Fort Pitt Classic Cars. 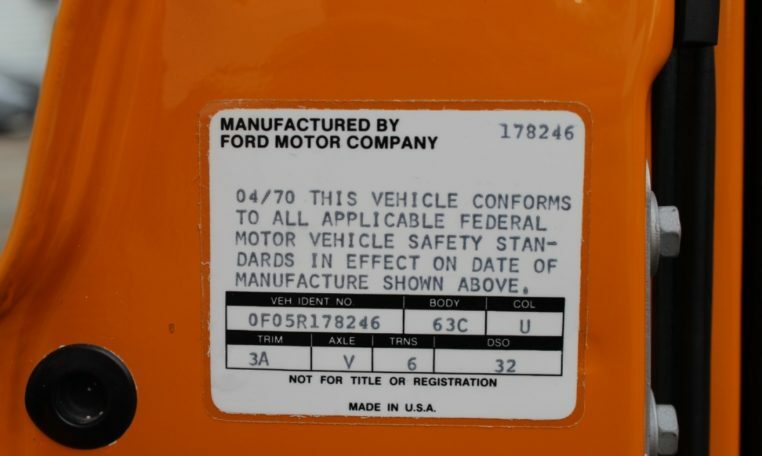 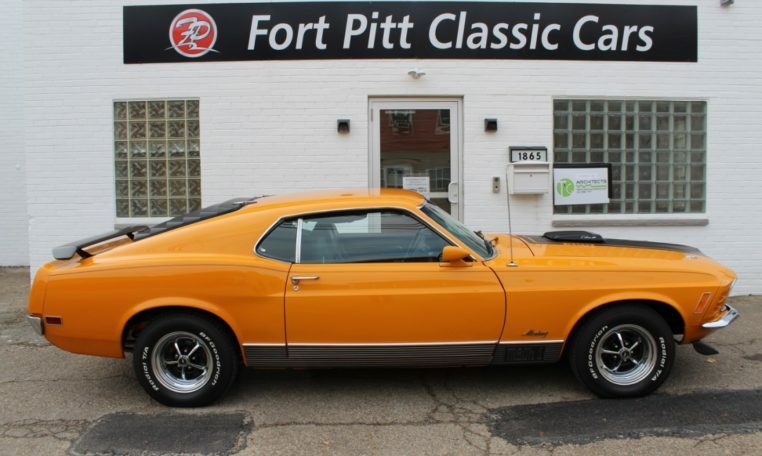 This vehicle is on consignment and is not owned by Fort Pitt Classic Cars.